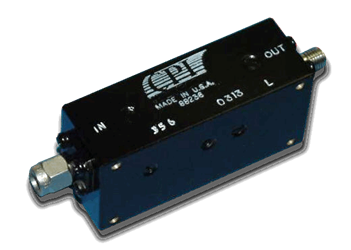 CPI’s Beverly Microwave Division (BMD) offers a comprehensive variety of receiver protectors and control components ranging from low-frequency coaxial limiters to complete TR limiters with phase attenuation and phase control up to the Ka-band. These products are manufactured in all transmission line types including waveguide, coax, stripline, and microstrip. Advancements in computer-aided monitoring techniques have dramatically increased performance levels, and CPI BMD’s high-power test facilities allow for complete verification of specified performance parameters. Download the brochure for a brief overview of the offered products.